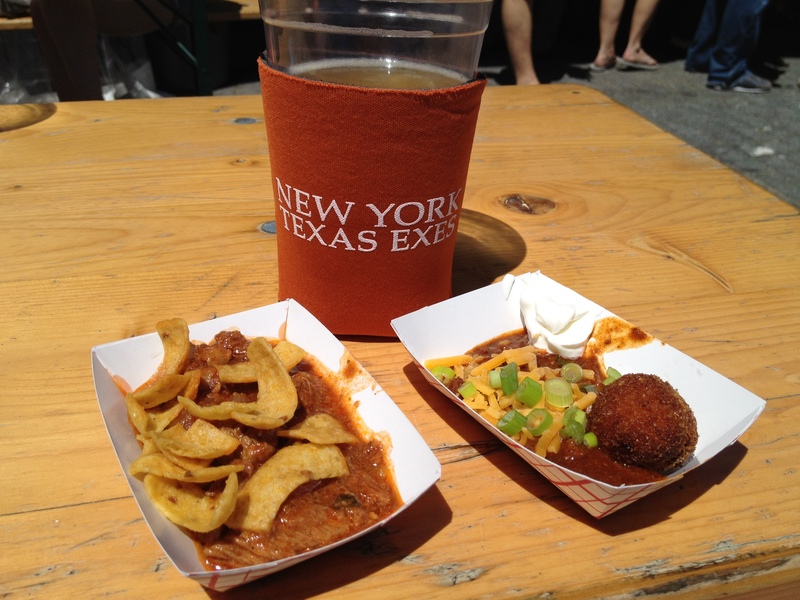 Lone Star Chili Cook-Off – beautiful day for chili, beer and the “beach”! 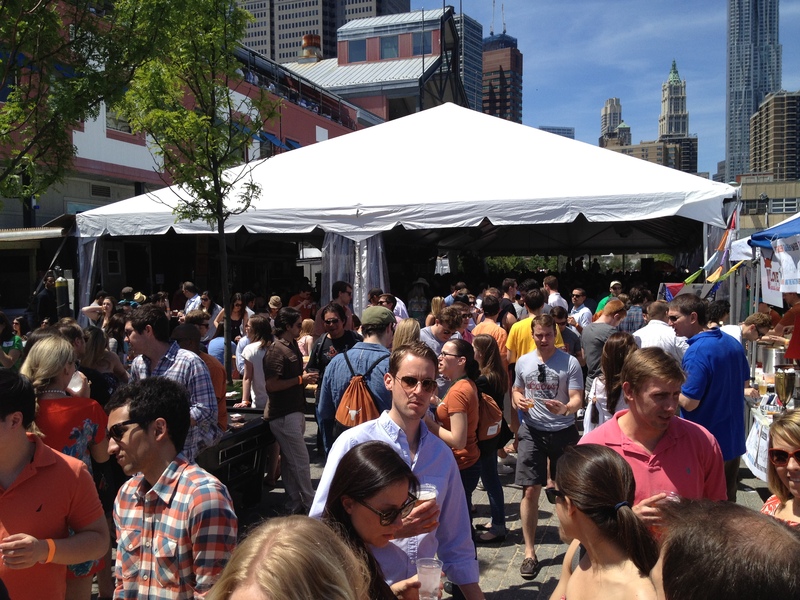 Yesterday, D and I went with some friends to the Lone Star Chili Cook-Off at the Beekman Beer Garden Beach Club at the South Street Seaport. This annual event is sponsored by the NYC Texas Exes (UT Alumni Association) and the NYC A&M Club (Texas A&M Alumni Association). Thirty-six amateur teams compete against each other for bragging rights of “best chili” and “best team presentation.” Alongside the amateur chefs is a restaurant category with all of the usual suspects in NYC that have chili on their menu: Hill Country, Southern Hospitality (aka Justin Timberlake’s BBQ joint), Manhattan Chili Co., Sidebar (seemed extremely random they were there), etc. You can bet your hat that I am going to sign up to cook in this event next year! The idea of making five gallons of chili all the while coming up with a clever team name and fun presentation may seem daunting but at least I’ve got a year to prepare myself to meet the challenge! 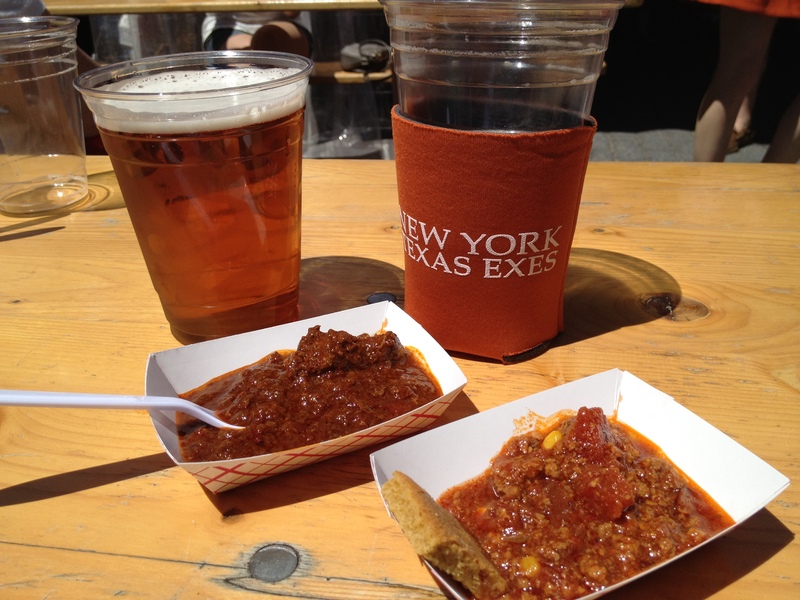 After a cold and rainy week with weather that was WAY too cold for NYC in mid-May, we were finally in store for some beautiful weather and couldn’t wait to relax out side while tasting a bunch of homemade chili and drinking cold beers. While we weren’t able to sample all 40+ chilis on tap, I’d say we tasted at least 25 of them, and yes, we left completely stuffed. They ran the range of being pretty bland and basic to being so spicy that we had to take a 20 minute break before eating, drinking or even talking (I’m talking about you, Asses of Fire). But on the whole, I was amazed that these chilis were all made by amateur chefs just like you and me! The biggest differential among chilis was the type of beef used. Most used ground beef but a few used brisket which was a nice touch. When tasting a bunch of chilis side by side, you could definitely tell who had used higher quality meat in their dish. The other thing that stood out was teams who offered sides (cornbread, desserts) and garnishes (cheese, sour cream, jalapenos, onion crunch, Fritos, etc.). According to D, when you serve Fritos with chili, it’s called a pepperbelly. Who knew? Thanks hun! Here are some pictures from the event as well as my thoughts on a few favorites that really stood out from the crowd. Most Creative Name and Side: King County Cretaceous Chili. These guys totally went overboard with the dinosaur theme, and I loved it! The chili was made from “tyrannosaurus rex meat” (aka ground beef) and the side was a “pterodactyl egg” (aka a sweet potato fritter). I’ve never had sweet potato fritters before and they reminded me a little bit of hush puppies or fried cornbread. Very clever, guys! Spiciest Chili: Asses of Fire. I am all for a little heat and think I have pretty high spice tolerance, but I met my match here. I’d be curious to know what kind of spices this team put in their chili because we were all dying after trying this chili! Best First Impression: Chili Bombers. This was the first chili we tried when we walked in the venue. It was piping hot, had just the right amount of spice and was just a good basic chili to start the day. The small serving of cornbread was just the right size for a chili tasting. (Other teams overloaded you with garnishes and you could barely taste the chili!) This goes to show that sometimes less is more. Runner Up and Best Use of Veggies: Chill-ayyyy Bro. This was a meaty chili but they also used tons of fresh veggies in their chili when many chilis only contained beef. It tasted great and made me feel like I was getting my recommended serving of veggies. Third Place: T. Love and Special Sauce. 2nd Place in the 2011 Cook-Off. We can’t remember why we liked this one, but clearly they are doing something right to place last year and stand out in our minds this year too! Last year’s winner was WildER Turkey. We didn’t see them at this years event and I hope we didn’t miss them! We had to leave before the winner was announced but I have my fingers crossed for Chili Con Blarney and can’t wait to join in the fun next year! If I already left you a message, please ignore this one but I really enjoy your blog and have nominated you for a One Lovely Blog Award. 🙂 I’m catching up from the other night and don’t remember where I left off. Thanks Amy! 🙂 I really enjoy your blog too. We will definitely be there next year with bells on!!!! It was very nice meeting you too. Looking forward to tasting your chili again next year!! 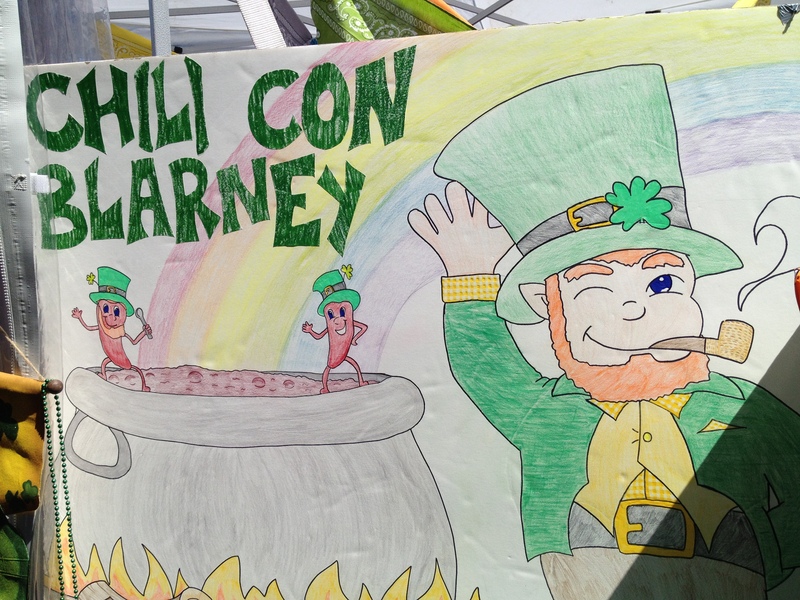 Hey…I was a member of Chili con Blarney. Thanks for the great feedback. We missed finals…but did win Best Presentation. It means a lot to us to get such great feedback. We will be back next year for sure! Hi there! Hope to see you again this year!!! We have a new dessert and a perfected recipe! 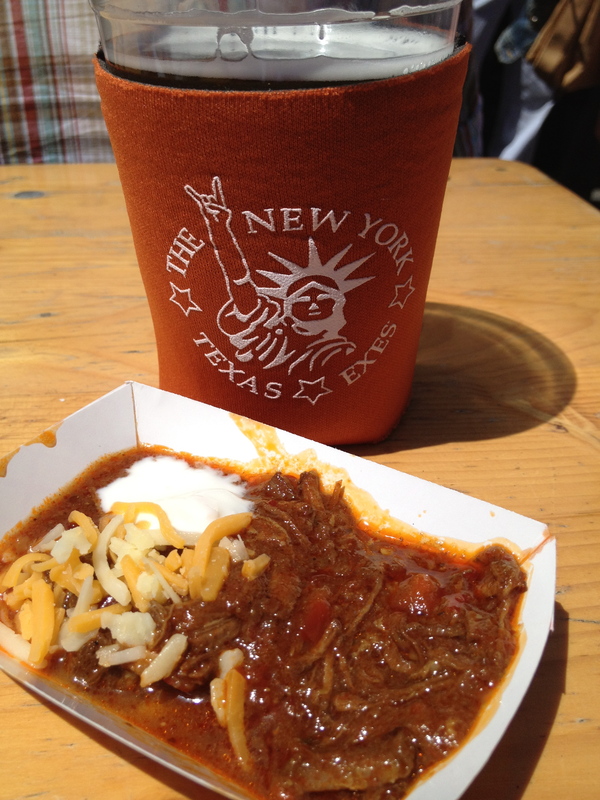 Good luck to Chili con Blarney in this year’s Lone Star Chili Cook-Off! Unfortunately we are out of town on May 11 so can’t make it this year. I am so sad to miss your fabulous chili and new dessert too!